After hours care available. Walk-ins Welcome. 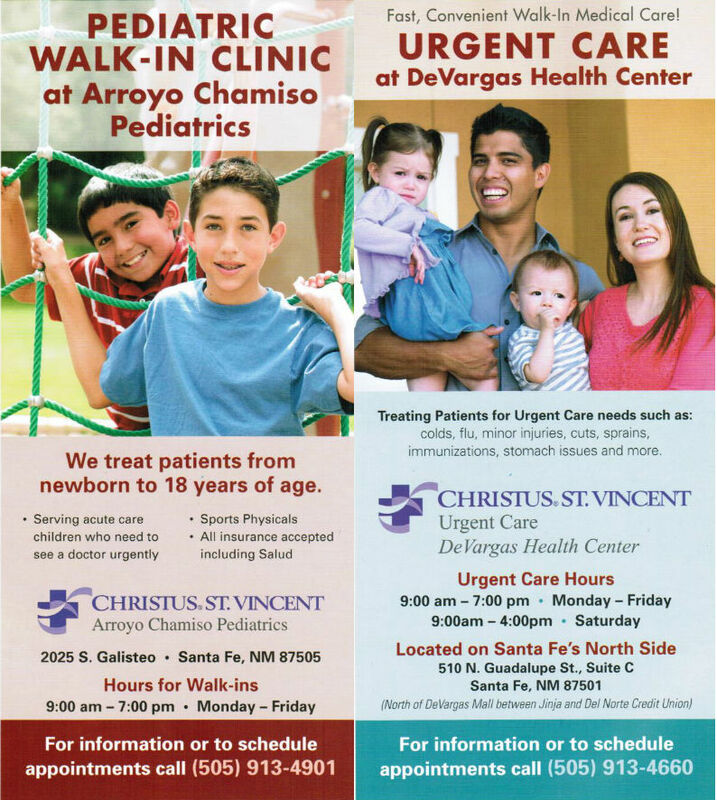 Convenient for residents and visitors of northern Santa Fe County.